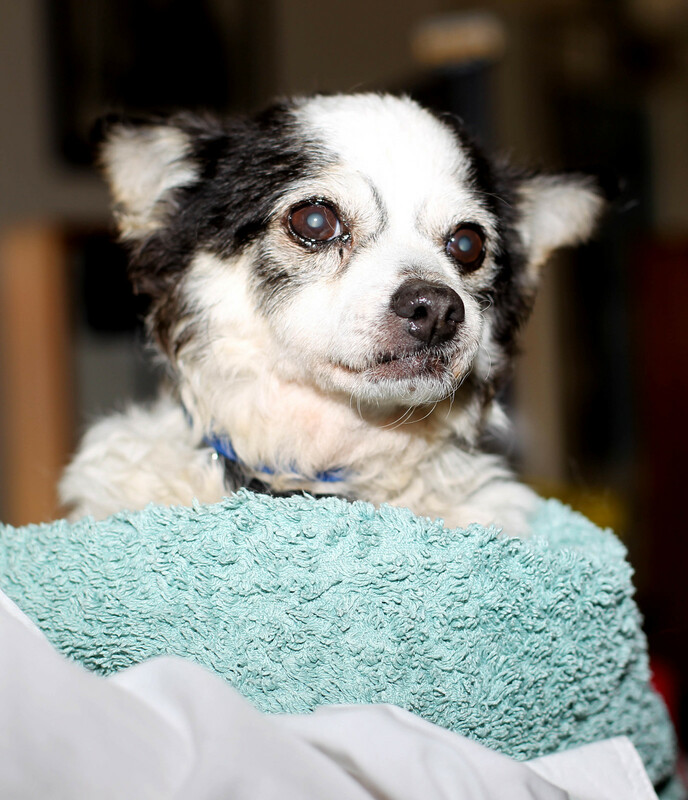 Earlier this year, 14-year-old fox terrier mix, Trish, vanished without a trace. Her owner was heartbroken, as Trish was a very special member of the family. “Trish was my mum’s dog. She got her when she was a puppy. Trish went everywhere with mum and would always follow her around,” Trish’s owner, Deborah, said. “Trish went in to visit mum when she was in hospital. In November last year, mum passed away.” Following the passing of her mother, Deborah did not hesitate to take in Trish as if she was her own. She vowed to look after her for the rest of her life. Eight months after she went missing, our Animal Ambulance picked up Trish and brought her to our North Melbourne shelter. Pleasingly, Trish was microchipped, so our shelter team began the process of tracing her owner. Shelter Clerical Officer, Melissah, had the pleasure of making the life-changing phone call to Deborah. “I felt happy that I could be the one that gave Deborah the news that she had wanted for eight months, and was able to reassure her that Trish was ok,” Melissah said. For Deborah, that phone call is a moment she will never forget. “I couldn’t believe it. I said, ‘What? You’re joking!’ I couldn’t stop smiling,” she said. Deborah wasted no time in rushing to the Home for the reunion she had always hoped for. In a room filled with tears of joy, Melissah watched as Trish returned into the loving arms of her owner. 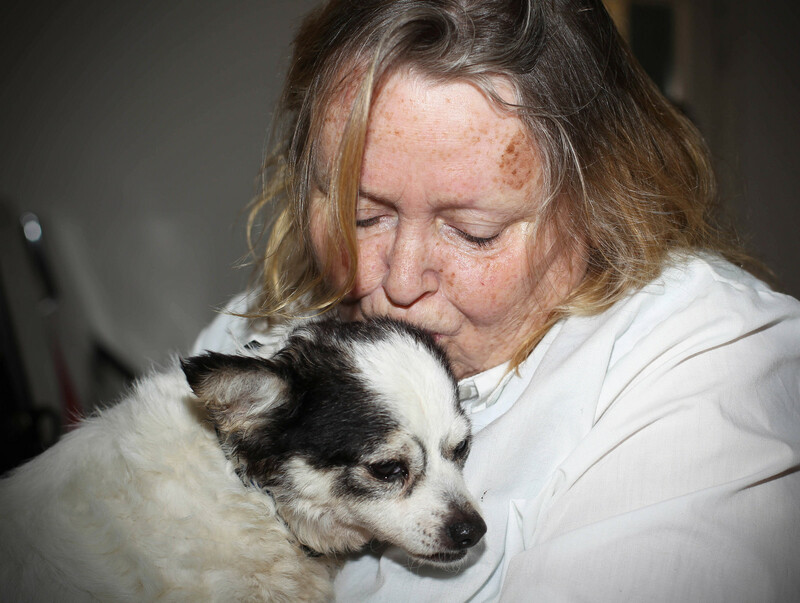 “When I met Deborah at the shelter, seeing the joy on her face made my already important job just the more special, being able to reunite dog and owner. I was happy to see Trish’s tail wag at the sight of Deborah,” Melissah said. Had it not been for Trish’s microchip with up-to-date contact details, the reunion would not have been possible. “I’m very thankful Trish was microchipped. 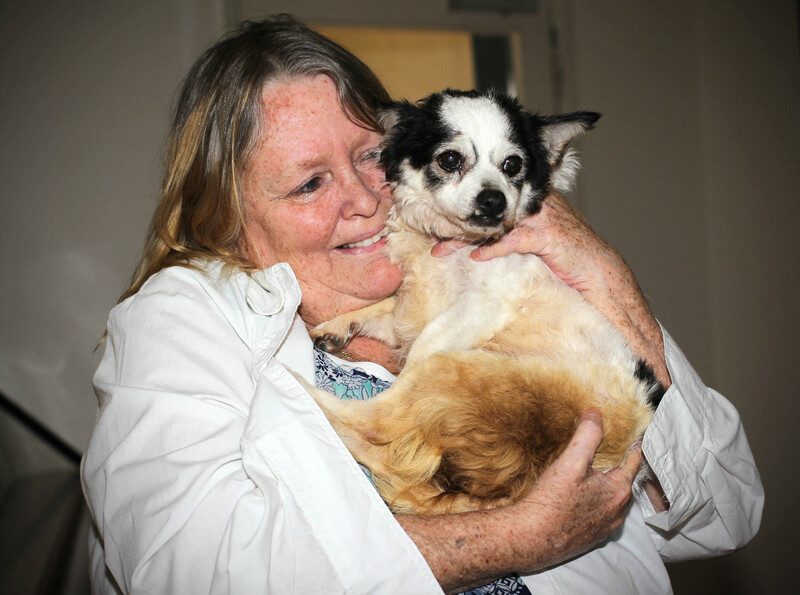 No pet should be without a microchip,” Deborah said. Melissah echoed this sentiment. “Microchipping is so important and plays a vital role in ensuring that once a pet comes into the shelter, we can reunite them with their owner as soon as possible and with little stress on the pet. Though thankful she was able to be reunited with her beloved pet, Deborah wished it had happened sooner. “If you find a lost pet, please contact the authorities. It makes me feel sad that someone had Trish for eight months. I don’t think they caused any harm to her, but I wish they had just done the right thing. It was heartbreaking for me,” Deborah said. Today, Trish is back in her element and enjoying life where she belongs – at home with her family. Deborah said Trish had proudly reclaimed her role of being “queen of the castle”. “It took a little while for her to settle, but now, she’s just sensational. I take her to the park. There’s a path that leads to the top of a hill. Trish walks up there and then comes flying down the path. I think sometimes she doesn’t realise how old she is! “Trish usually sleeps on her beanbag in the bedroom. One day, I was asleep on the couch. When I woke up, Trish was sleeping in her beanbag right near the couch. She must have dragged it from the bedroom to the hallway and then to the couch. She just wanted to be near me. Each year, thousands of pets go missing across Australia, leaving behind very worried families. Having your pet microchipped will give you the best chance of being reunited with each other if he or she ever goes missing. How can I have my pet microchipped? Having your pet microchipped is simple. The tiny capsule is injected into the loose skin between the shoulder blades by a qualified microchip implanter. The entire procedure takes under five minutes. For more information and to find your nearest microchip implanter, visit National Pet Register. If your pet is microchipped and you move house or change your phone number, it is crucial to make sure that you update these details with the microchip registry. This is the only way they will be able to contact you if your pet is found.